Heat oven to 375°. Grease cookie sheet with shortening. Beat brown sugar, butter and egg in large bowl with electric mixer on medium speed until light and fluffy. Stir in flour, nutmeg, salt and baking soda. Stir in apple. Drop dough by rounded teaspoonfuls about 2 inches apart onto cookie sheet. Bake 8 to 10 minutes or until light brown. Remove from cookie sheet to wire rack; cool. Store loosely covered. 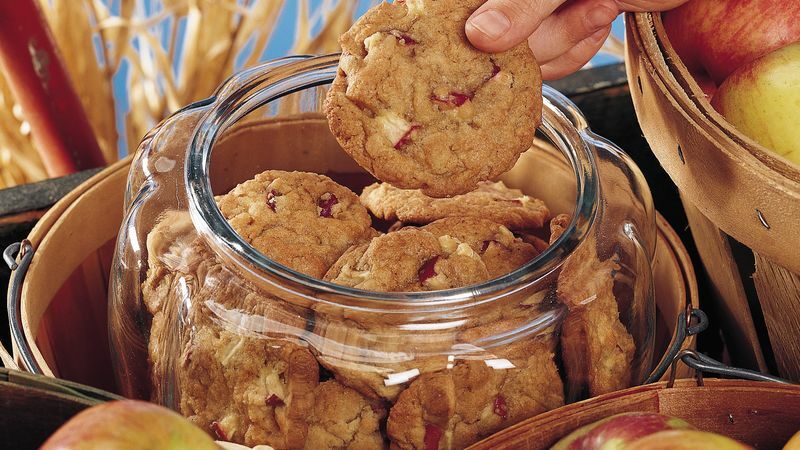 Vary this quick cookie by using different fresh fruits-- or even vegetables-- that you might have on hand. Good substitutions for the apple include pears, bananas, zucchini and carrots. Bring your cookie tray back to the good ol’ days of scratch baking with this classic apple cookie recipe! And don’t worry, just because these cookies are scratch doesn’t mean they’ll take all day to make. They actually only takes 10 minutes to prep and 10 minutes to bake in the oven. Apples and nutmeg make this recipe perfect for fall, and the apple chunks add bursts of flavor and a surprising texture. But if you’re craving something a little different, or don’t have apples on hand, consider switching out your fruit. Pears, bananas and even veggies like, zucchini and carrots, all work well in this recipe. For more ideas to upgrade up your cookie tray, check out the rest of Betty’s cookie recipes. And if you love everything apple, make sure to peruse the rest of Betty’s best apple recipes and read up on tips and tricks for baking with apples.